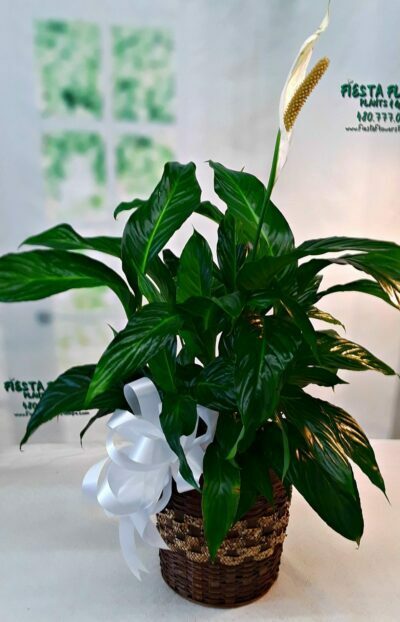 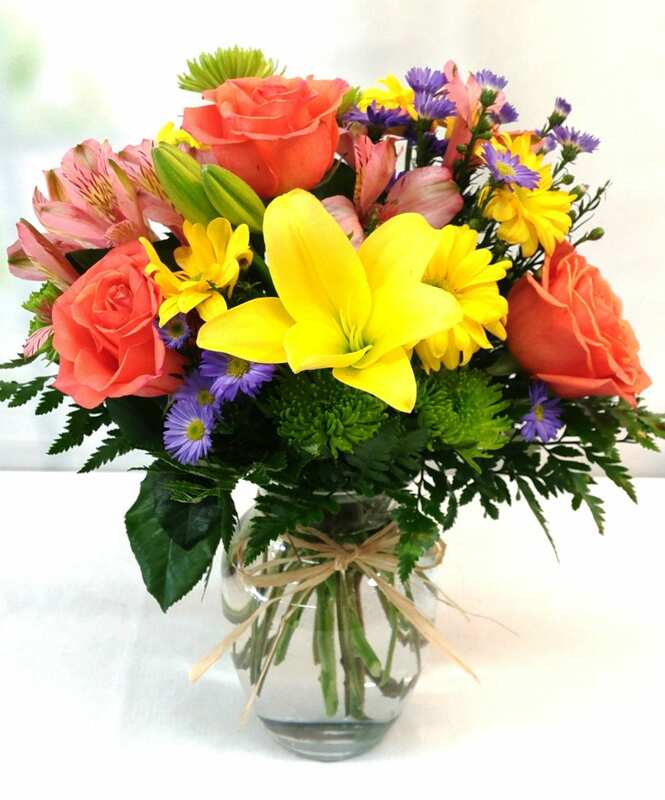 Bring a celebration into any room with our Fiesta Sophistication arrangement. 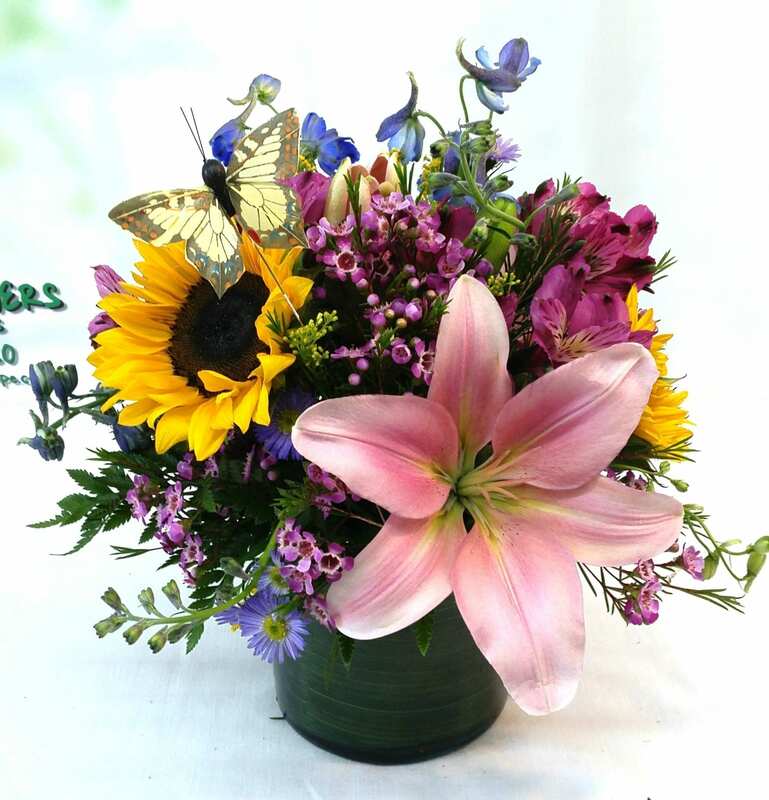 Sunflowers, Lilies, yellow Solidago, Alstroemeria Lilies, blue Delphinium and purple Monte Aster are arranged in a cylindrical vase. 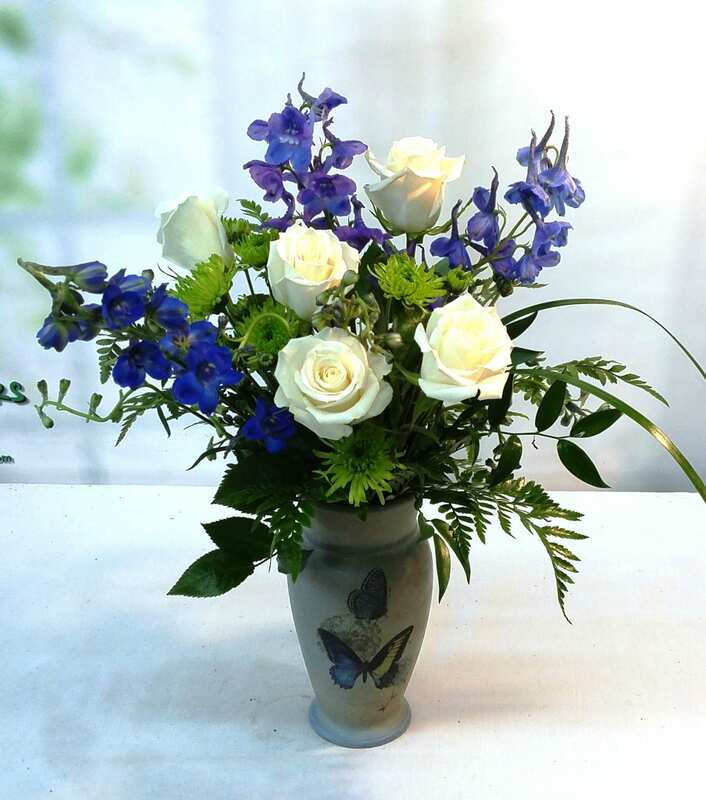 A butterfly pick completes this beautiful arrangement.